I think that everyone would agree, that dieting is by far the most difficult component of a fitness routine. Just take a look at the national dietary recommendations- they seem to change just as often as you change your underwear. With so many different dietary recommendations out there, how could you possibly know which one is right for you? Thankfully, there are a few key metrics you can look towards to inform your decisions. Anyone who has been training for a significant amount of time understands these 3 basic principles of diet planning. Making any kind of modification to your diet can alter your energy levels, your performance, and most of all your lean muscle mass and body fat percentage. Welcome to The White Coat Trainer series on diets. 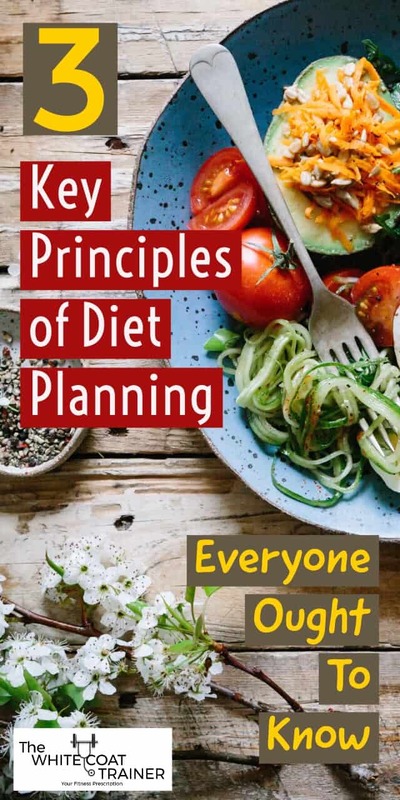 Today’s post will teach you what a balanced diet is, and illustrate 3 key principles that most diets utilize. In Part 2 How to Stop Counting Calories and Part 3 How to Start Eating Clean With a Busy Schedule, we share several dieting tips that you could begin to implement right away into your busy schedule. 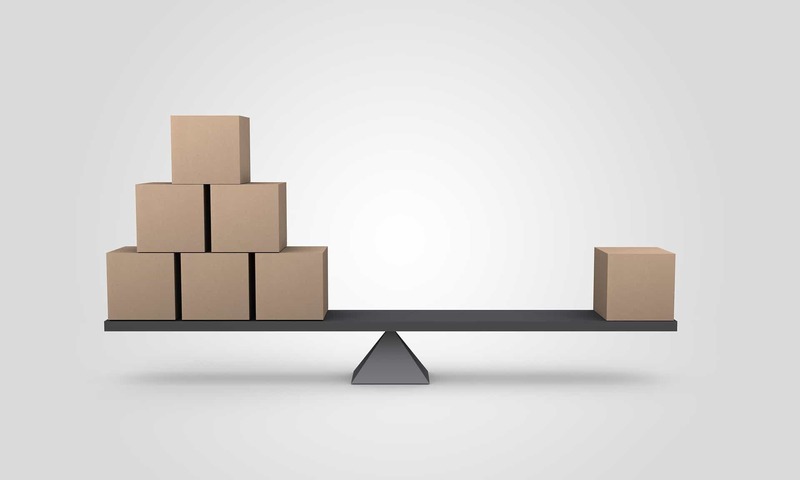 In order for a diet to be successful, it has to be balanced. A balanced diet is one that contains an adequate proportion of the three major macronutrients: Protein, Fat and Carbohydrates. A balanced diet must also contain an adequate amount of ALL the essential vitamins and minerals, the micronutrients. This is where most diets fail. You cannot just expect to get your required macronutrients and call it a day. The reason why these vitamins and minerals are essential is that your body actually needs them. Just look up any random vitamin or mineral and look up its function. Guess what? If you lack that micronutrient in your diet, then your body won’t be doing any of those things optimally. According to the CDC, nutrient deficiencies are prevalent in America. This then begs the question: how are people surviving if so many of them lack adequate micronutrient intake? The answer is rather simple. The human body is an AMAZING machine. Your body will adapt and make do with whatever it is getting from the diet. Now does that mean your body is running optimally? Will all of your hormones (especially the ones responsible for metabolism) be functioning at their highest capacity? You have to look at your diet from a holistic point of view. Not giving your cells the nutrition they require will have downstream effects elsewhere. Everything is tied together. So if you want to have a successful diet, you must balance your diet first. We all have a general idea of which foods we should avoid, and which foods we should eat more of. However, many diets have popularized the idea that the amount of food that you eat is more important than the actual food that you put into your mouth. This is certainly true to a degree. The total amount of calories you eat must be balanced by the number of calories your body utilizes. It follows the first law of thermodynamics. Energy is transferred from the food that you consume to your body, which will either be used immediately or stored for use at a later time. Following this logic, it does not matter how many “healthy” or “unhealthy” foods you eat- if you eat more calories than you can burn, your body will gain weight. If you burn more calories than you eat, you will lose weight. We have several examples of this in real life. Take a look at Michael Phelps- the individual with the most gold medals in the history of the Olympics. While training for competition he would consumes 8,000+ calories a day, of what most people would consider being ‘unhealthy’ foods. Yet, he was able to maintain elite athletic performance and low levels of body fat due to his intense exercise regimen and fast metabolism. 2. Counting calories is also extremely difficult, as there is a large margin of error on nutrition labels and any calculations you make will be an estimation at best. 3. Prolonged caloric restriction is unsustainable and will ultimately lead to malnutrition, muscle breakdown and a decrease in your metabolism. If you simply consume fewer and fewer calories to lose weight, your body will enter survival mode. It will do what it can to preserve body weight, and slow down energy consumption. Once you stop the low-calorie diet, it is only downhill from there. These individuals lost upwards of 80-100 lbs, through extreme caloric restriction, only to gain it all back, and more, due to a slower metabolism. So while total calorie consumption is important, there’s definitely more to the equation. The next contributor to successful dieting is paying attention to your macronutrient intake. As we mentioned before, a balanced diet has an adequate proportion of the three major macronutrients: Proteins, Carbohydrates, and Fats. Almost all foods can be classified into one of these three groups, and it’s important to be able to identify which food falls under which category. The ratio of these three nutrients in your total daily intake is where most diets vary significantly. Almost all diets advocate for some combination of low fat, low carb, or high fat, high carb variations to achieve the desired result. Let’s go over the three macronutrients one by one. Protein is by far the most important macronutrient, and the one people usually eat the least of. This is a big mistake, as high protein foods keep you satiated, and serve as the primary building blocks for muscle toning and muscle strengthening. According to general nutrition labels, an average woman consuming 2000 calories a day should aim to have 50g of protein per day, and an average man consuming 2500 calories a day should have 65g of protein. These values are actually quite low, and anyone who performs athletic activities understands the importance of consuming enough protein to fuel their bodies. Ideally, protein should account for 20-40% of your total caloric intake which may be anywhere from 90-200+g of protein per day depending on your body-weight and goals. High-quality sources of protein include lean meats, fish, eggs, whole milk, and Greek yogurt. If you are a vegan, you can use tofu, green split peas, lentils, hemp seeds and nut varieties. Fats are the next most important macronutrient. Your body utilizes fats for padding and insulation, as substrates for many hormones, and to solubilize Vitamins A, D, E and K.
Fats come in different varieties; saturated, monounsaturated, polyunsaturated and trans. Unsaturated fats are considered to be the healthiest, while trans fats are to be avoided at all cost. Unsaturated fats can be obtained from healthy oils such as extra virgin olive oil, fish oil, and avocado oil. Other sources include 85% dark chocolate (cacao), and different nut varieties. A very common misconception is that high fat consumption is what makes you fat. Excessive calorie consumption, of the wrong types of food, coupled with little physical activity (and of course, your genetics) is what contributes to elevated body fat levels. Again, fat intake can account for 20-40% of your total caloric intake depending on your body-weight and goals. This means that you can consume anywhere from 50-120g per day with the majority of this intake coming from unsaturated sources. Carbohydrates are the least important macronutrient of the three. They serve as the primary source of energy for your brain, and they are used to maintain glucose levels in your bloodstream. If you happen to stop eating carbohydrates (from non-fruit and non-veggie sources) you would actually be perfectly fine. In absolute carbohydrate depletion, your body would begin to use up other sources (such as fat) for energy, in a process known as ketosis, (we have written about The Keto Diet extensively here). While I do not necessarily recommend this approach, many elite level athletes have successfully used ketosis to achieve high levels of performance. If eaten in excess your body will store carbohydrates first as glycogen, and then ultimately as fat. An enormous amount of low quality food choices fall under the category of carbohydrates; most of which have a very high glycemic index. In other words, they are simple sugars that raise your blood glucose rapidly, leading to large fluctuations in insulin levels. Excessive consumption of high glycemic foods has been linked to the development of Type II Diabetes Mellitus and metabolic syndrome. Examples of high glycemic carbs include white bread, regular pasta, white rice, and baked goods such as cakes and cookies. Similar to Proteins and Fats, Carbohydrates can make up 20-40% of your total caloric intake depending on your body weight and your goals. It is a good rule of thumb to obtain a large part of your carbohydrates from low glycemic fruits and non-starchy vegetable sources. Proteins and Fats are essential to your body. These foods should be eaten as often as possible. 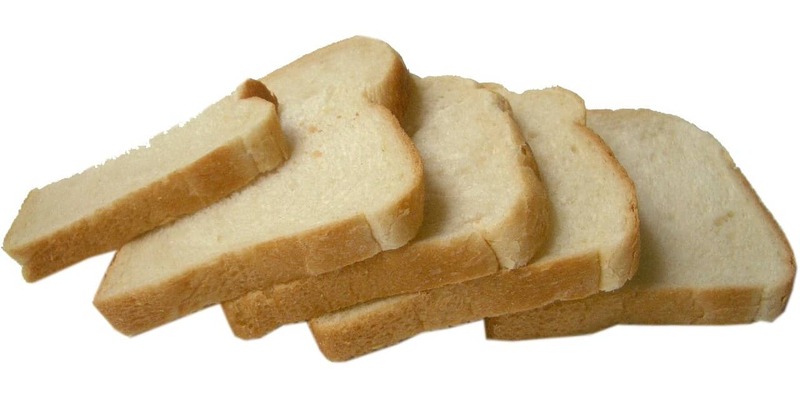 Carbohydrates are routinely eaten in excess and should be kept low, especially if you are not very active. And now, onto the final principle. The third principle of dieting that you must pay attention to is food composition. This refers to the quality of the macronutrients you are consuming. It is very important to consume whole foods that are minimally processed and as close to their natural state as possible. High-quality protein, healthy fats, fruits, and vegetables need to be staples in your diet to provide optimal results. Because high-quality foods are more likely to be full of nutrients than their low-quality counterparts. This is how you will obtain all of the micronutrients we have described above. It is not necessary to buy organic, as there is no definitive evidence detecting significant differences in individuals consuming organic versus conventional foods. A good rule of thumb to follow is – try your best to avoid foods that didn’t exist a thousand years ago. Cookies, ice cream, french fries and other low-quality foods have to be kept to a minimum. You don’t have to cut these foods out completely, but you must keep them in check. You now understand what a balanced diet is, and the 3 principles of diet planning you must utilize if you are to optimize your nutrient intake. A balanced diet provides 20-40% of each macronutrient and focuses on consuming an adequate amount of all micronutrients. Now we can get to the nitty-gritty of how to actually eat. In Part 2, How to Diet without Counting Calories we discuss how to analyze your meals and determine how much food you should be eating. What does your diet typically consist of? Have you counted calories before with any success?